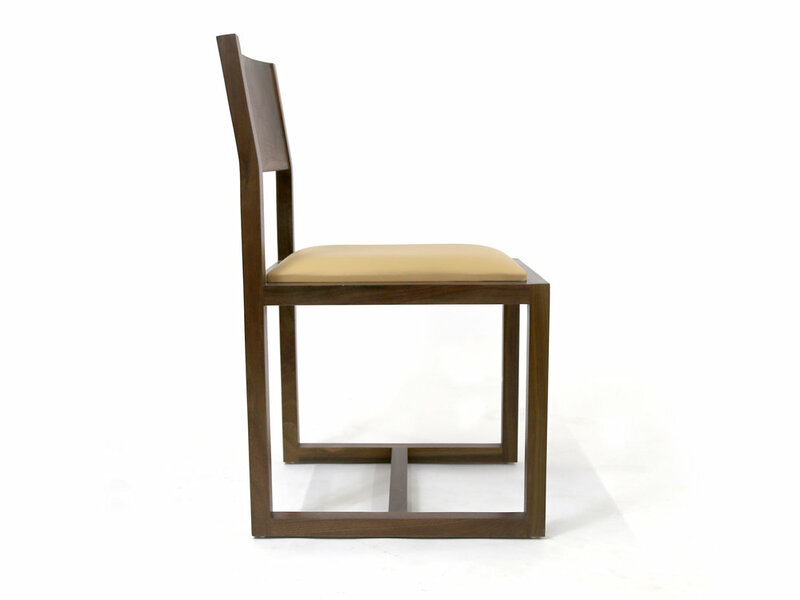 A simple, contemporary hardwood chair with an upholstered seat. An upright side chair with a solid supporting frame. A straightforward design. Simplicity incarnate. Dimensions: 19.5" x 17" x 32.75" sh = 18"